What are children learning at forest school? What are children learning at forest school?No one doubts that forest school is a fun experience, but how can we know what children are learning at forest school, what they get out of it? Each child is different in terms of background, knowledge, experiences, skills, fears and enthusiasms. Yet so many seem to enjoy forest school, and teachers and parents often have stories about how the experience changed their child. How do we turn these stories into a body of compelling evidence for the benefits of forest school? There are a growing number of studies which have measured or assessed the impact of forest school on children often focussing on specific issues such as physical or mental health, or social and citizenship skills (e.g. Davis and Waite, 2005; Knight, 2009; Lovell and Roe, 2009; Maynard, 2007; O’Brien and Murray, 2007; Swarbrick et al., 2004,). In order to contribute to this body of evidence, I started out by observing children at forest school, to begin to understand how it affects children. However, my own observations could not cover enough sessions and children to extrapolate the individual stories to develop a wider evidence base, so I had to approach this question in a different way. I chose to draw on the community of forest school leaders who are engaged in leading sessions year after year, with a wider range of classes. They see many children experiencing forest school, and so for this research I chose to draw on their experience to be ‘conduits of evidence’ (Waite and Goodenough, 2010). Drawing on the existing network of Forest School leaders in cluster groups, I was able to recruit 20 forest school leaders who were each interviewed about what they believed children learn while at forest school. The interviews focussed on three broad themes: what children are learning at forest school, the significance of the outdoor space, and how children responded to forest school. This blog is confined to the first issue: what forest school leaders perceived children were learning at forest school. Analysis of the interviews identified topics which came up in the discussions with forest school leaders, depicted in the figure. Forest school leaders acknowledged that there were many potential links to the national curriculum, but these were not explicitly pursued. Instead, forest school practitioners highlighted other aspects of learning at forest school. The most commonly mentioned themes were development of relationships with others, and development of relationships with nature. In the interviews there was also discussion of kinaesthetic and sensory learning styles, as well as children learning to take responsibility and assess risk. Practitioners observed children developing relationships with others: learning to play together and to work together to achieve tasks. They also claimed children learned about themselves in terms of what activities they feel comfortable engaging in, and how to overcome fears and uncertainty when encouraged to try new things. Malone’s research (Malone, 2008) suggests such self-knowledge and team-working skills are transferable to the classroom and can increase the ability to pay attention and concentrate. Forest school provides an environment in which children can learn about the natural environment. However, in interviews it became apparent that the forest school leaders do not see nature education as the primary goal of forest school, but incidental to the activity. Children engaged in nature through being outdoors, using natural materials to build dens, do nature art and craft, or just by balancing on logs and searching for minibeasts, and while doing all these activities, they were also learning about the natural environment. Forest school leaders identified ways in which children’s experiences at forest school could progress year on year, so that it remains challenging as children grow older. Leaders felt children of different ages gain differently from forest school and claimed that as children grow they ‘take on’ different things, building their skills and knowledge. For example, social skills evolve as children get graduate from playing alongside each other to together, and communication and negotiation skills develop as group work becomes more complex. Physical boundaries are adjusted as children get older, allowing children to explore over a wider area and take on more challenging and risky tasks. Unlike many other activities for children, forest school leaders described how forest school teaches children to judge risks rather than attempting to make a risk-free environment. It was apparent that the forest school practitioners interviewed did not appear to see forest school as an opportunity for delivery of the national curriculum, even though potential links were identified (especially in science, geography, but also language and writing), but they felt that informal learning at forest school could support and contribute to classroom teaching. Forest school sessions were often seen as quite separate from classroom teaching, often being led by different people. Learning styles at forest school were very different from the directive approach of the classroom: more play and peer-led, less directed by teachers. This suits some children more than others. The forest school leaders saw themselves as facilitators of learning, rather than instructors delivering knowledge. Davis, B. and S. Waite 2005. Forest school: opportunities and challenges in the early years. Plymouth: University of Plymouth. Lovell, R. and J. Roe 2009. Physical and mental health benefits of participation in forest school, Countryside recreation network, 17, no. 1: 20-23. Malone, K. 2008. Every Experience Matters: An evidence based research report on the role of learning outside the classroom for children’s whole development from birth to eighteen years, Report commissioned by Farming and Countryside Education for UK Department Children, School and Families, Wollongong, Australia. Maynard, T. 2007 O’Brien, L. and R. Murray 2007. Forest School and its impacts on young children: case studies in Britain, Urban Forestry and Urban Greening, 6, 249-265. O’Brien, L. and Murray, R. 2007 Forest schools in Great Britain: an initial exploration, Contemporary issues in early childhood 8, no. 4: 320 – 331. Swarbrick, N., G. Eastwood and K. Tutton 2004. 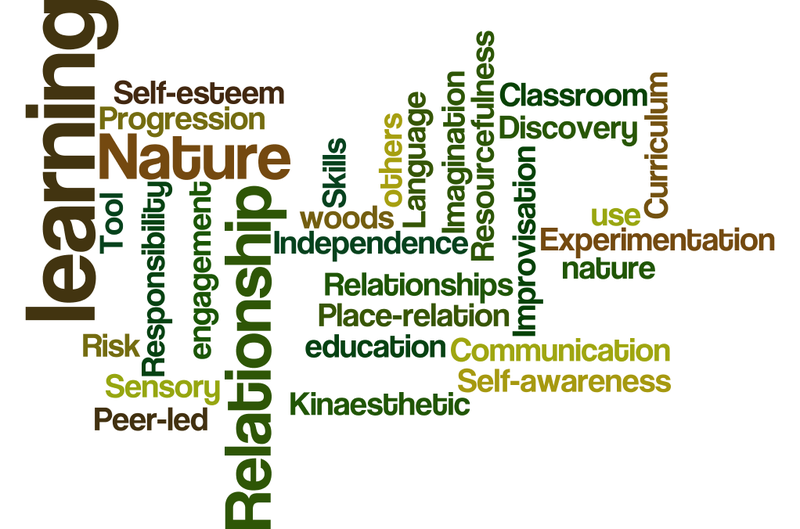 Self –esteem and successful interaction as part of the Forest School project Support for Learning, 19, no. 3: 142-146. The best season for farm visits and other outdoor learning is coming up!